It's official! It's that time of year where the thought of hibernating suddenly becomes all too tempting. I'm not a huge fan of the dark and cold months of Winter so, in true Chloe style, I like to keep myself feeling warm by filling my tummy with as much comforting food as I can possibly manage. 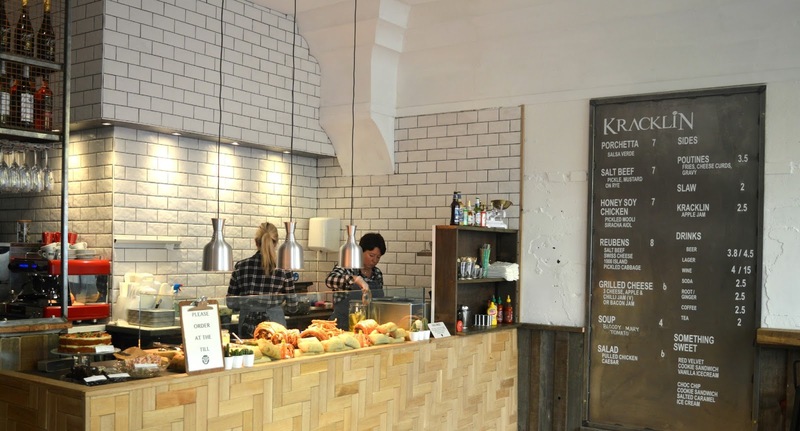 So it's really good timing that new gourmet sandwich shop Kracklin has just arrived in Newcastle offering us all a lovely little place to hide from the cold and some rather delicious hot food to put the smile right back on our faces. I have my daily commute to thank for discovering Kracklin. I pass it on the bus every evening and have been watching its development eagerly from the window. Its location on Market Street, means it's not going to benefit from passing shoppers but I think once word spreads this little place is going to be very popular. I don't think Newcastle has ever had anywhere like Kracklin, and wow are we ready for it! Simon and I paid them a visit after a busy morning shopping. I quite often suffer from pavement rage if I attempt to hit the high street on a Saturday so we arrived feeling a little grumpy and in desperate need of a sit down. Pushing open the door we were hit with the wonderful smell of roasting meat and we immediately felt at home. 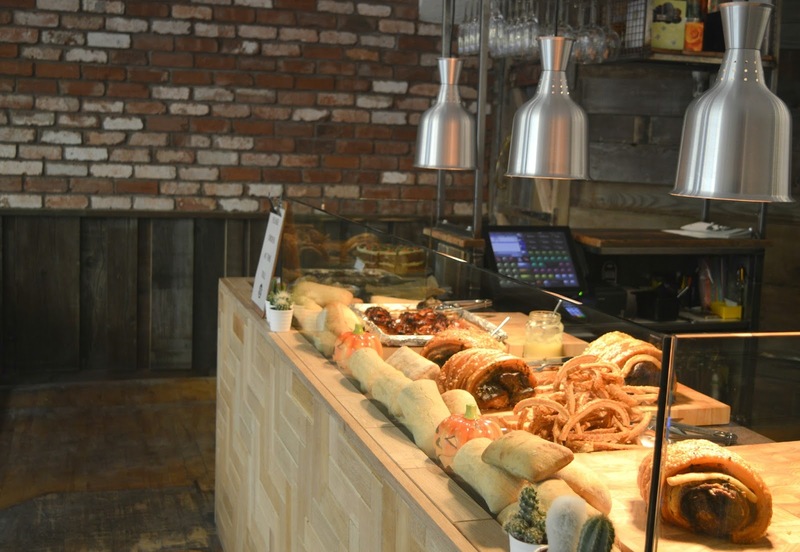 We eagerly made our way to the counter where there was a fine spread of meats to choose from and a menu of sandwiches that made our mouths water in anticipation. Honey Soy Chicken with Pickled Mooli and Saracha Aioli; Porchetta with Salsa Verde and a fantastic choice of sides - Kracklin served with Apple Jam and Poutines (fries with cheese curds, gravy and kracklin). 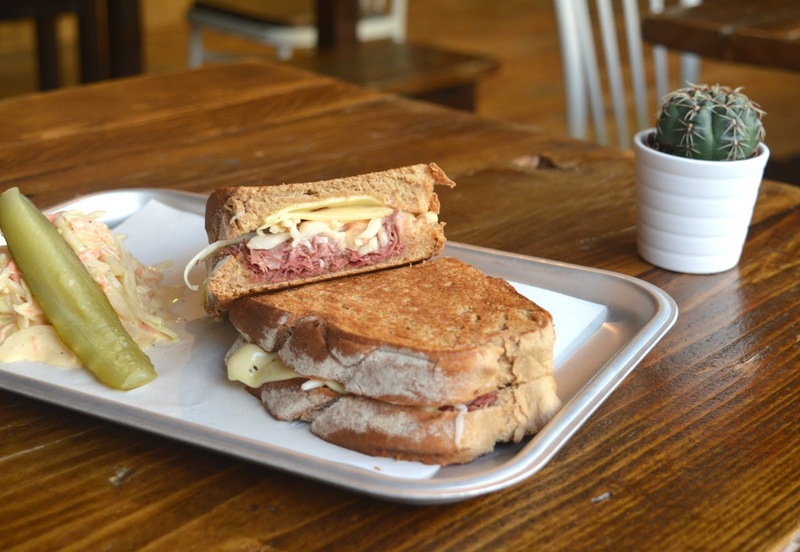 It's not too often Simon and I pick out the same but we both decided to order the Reubens, a toasted sandwich filled with homemade Salt Beef, Swiss Cheese, 1000 Island and Pickled Cabbage. Our sandwiches were brought over to our table and our eyes couldn't quite believe the size of them. 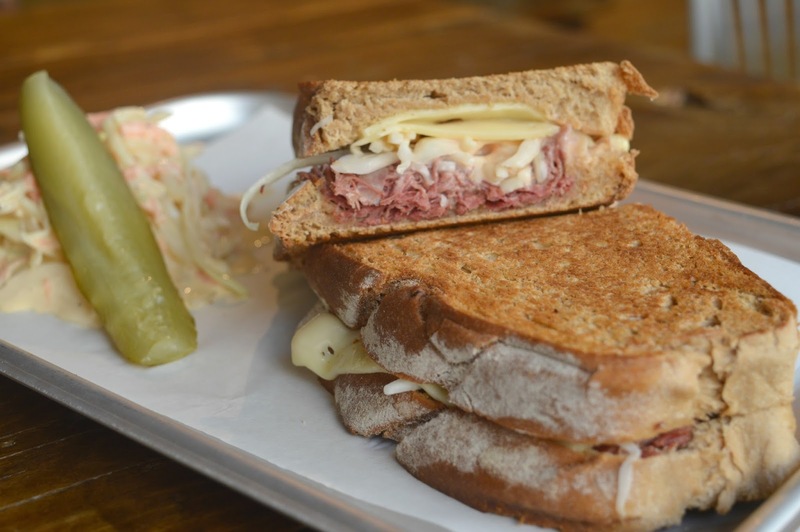 Mammoth doorstep sandwiches completely packed with filling. We rolled up our sleeves and got to work! Our sandwiches were beautiful and so filling, just what we needed after a morning shopping. I struggled to finish mine and it kept me going for the rest of the day. These bad boys are like eating two meals in one! Next time you find yourself in Newcastle with pavement rage I highly recommend you get yourself away from the crowds and head straight for Kracklin .. with the shopping stress of Christmas just round the corner, it's going to be just what we all need. Wow this place looks worth seeking out... I work in the city centre and like to take a walk to relieve the desk doldrums, so i'm definitely going to take a hike in this direction! Oh this place looks fantastic - if we can be tempted away from the Christmas market I may have to visit next weekend!! Ha, I get SUCH bad pavement rage. Oxford Street is just the worst, especially as Christmas gets closer... That sandwich does look like a good remedy though! No comment on the cost?